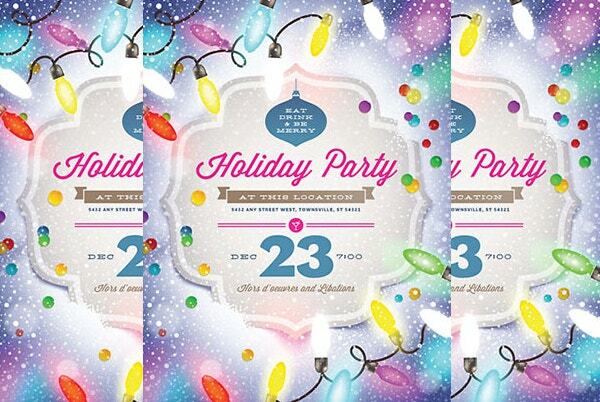 A party, no matter what kind it may be, is something that excites most of us. 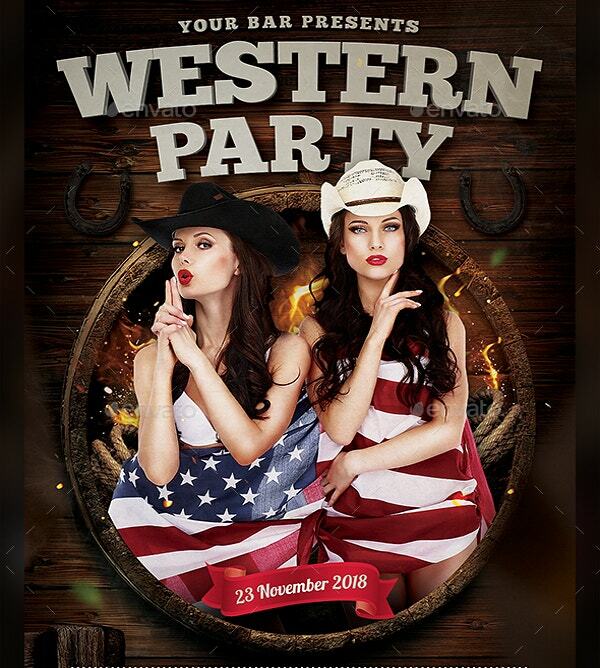 It gives a feeling of thrill especially in terms of planning on what to wear, who to enjoy the party with, and what new experiences and memories can be made if ever we attend a specific party. This kind of thrill can first be handed to us when we already have an idea about the party and we can actually see a visual guide about it. 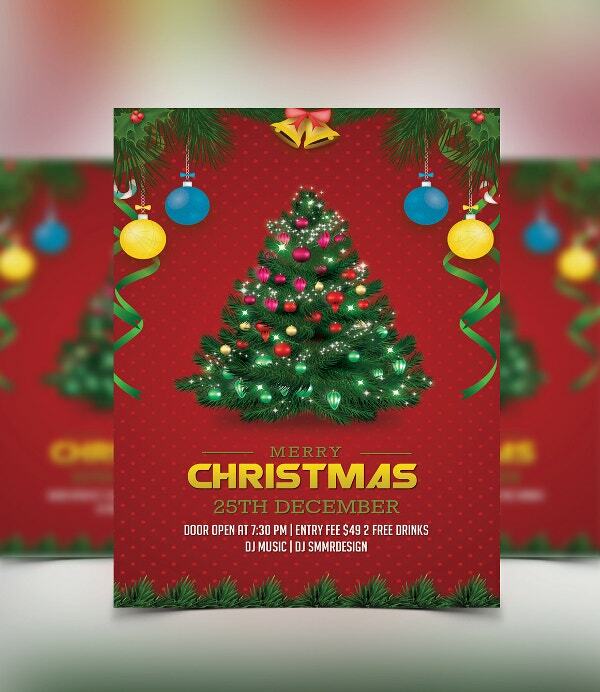 Party flyers are very important in terms of promoting a party as it helps get more attention and it makes people enthusiastic in joining the fun most, particularly if it is the kind of party that they truly want to attend. 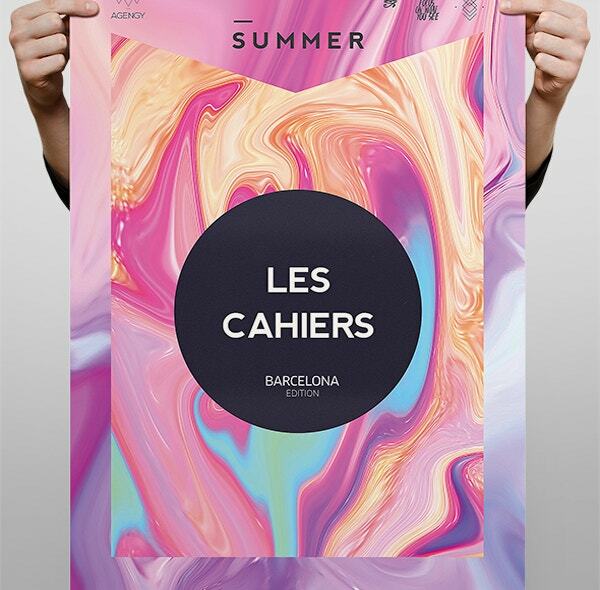 This is the reason why flyer designs are always taken into consideration and organizers devote so much time and effort in making one. 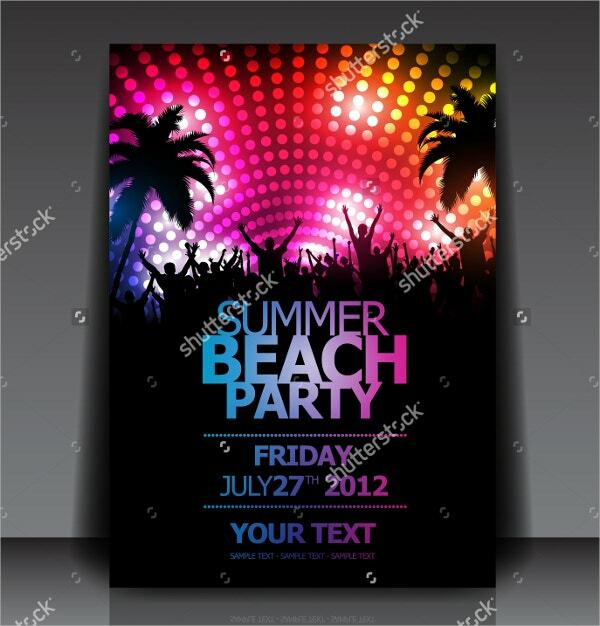 Make sure that you have an idea on the kind of party to which the party flyer will be made for. The nature of the party has a lot to do with the possible end design of the party flyer. 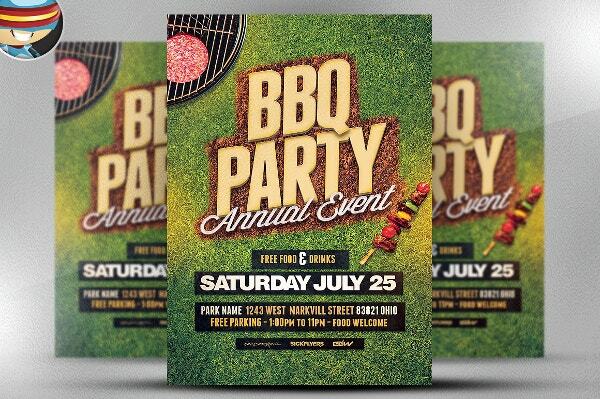 The theme of the party shall also be considered as it is where you base the design items that you are to put in your party flyer. 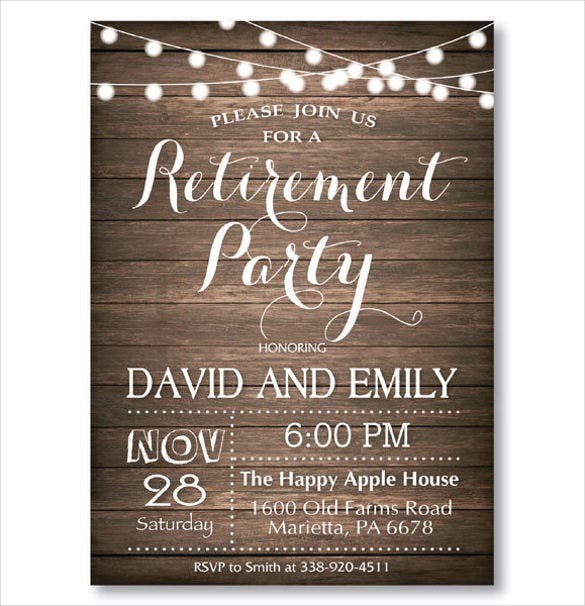 Assure that you know the age bracket of the target audience and attendees of the party to be sure that you are putting content and design materials appropriate for their ages. Always remember to make all items cohesive so that people will focus on the main information that they need to know while they are having a visual feast with the design that complements the information being relayed. 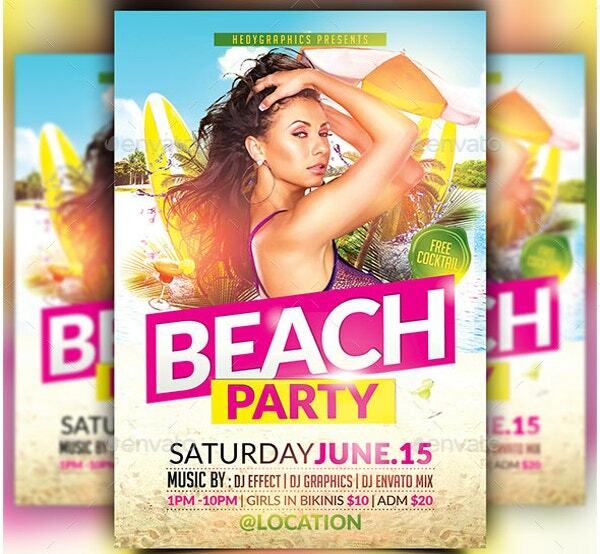 Take into consideration the overall look of the flyer. Spaces must be used appropriately and there must be enough negative or blank spaces for the information to be understood well. The text styles and fonts that will be used should be readable. 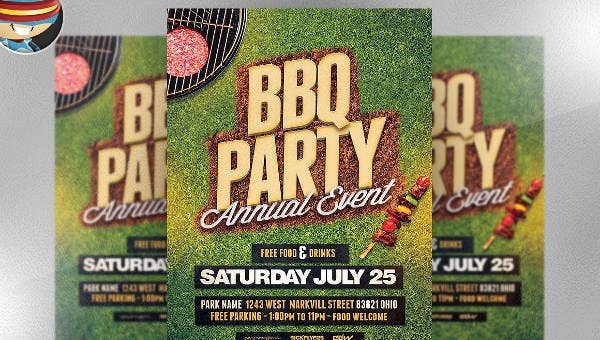 Remember these guidelines in creating a party flyer so that you can be sure that you are creating a flyer that is effective, appropriate, proper, and fun. 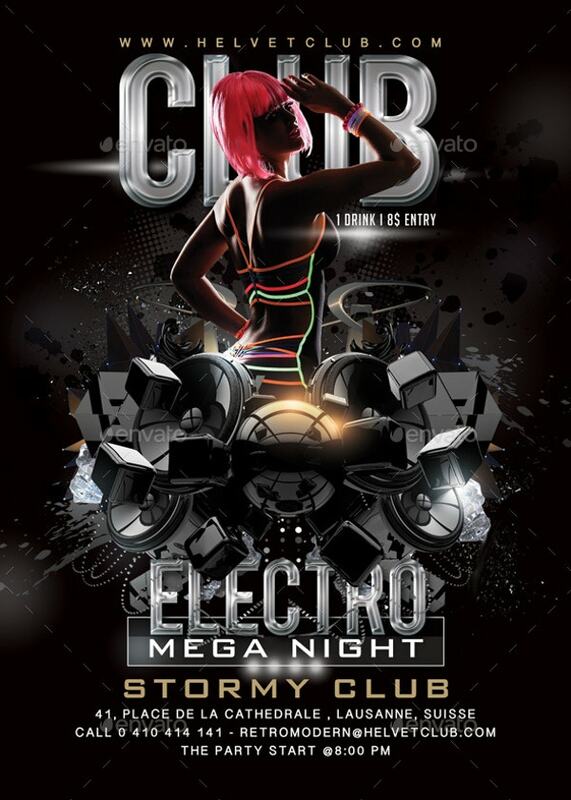 Aside from our party flyers, we also have available club flyers you could also use. These information should always be present in party flyers so that guests will be informed about the specific of the party. This will help them to assure that they know the correct information and that they are aware of the nature of the party where they are planning to go. 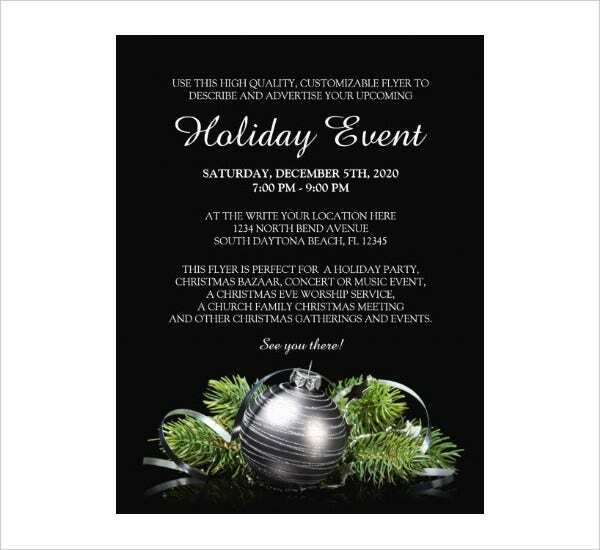 If your party is at nighttime, you may download our night party flyers for more specific flyer design and samples appropriate for the event that you are to host or organize.